To get a better understanding of what we can do for you, take a few moments to look at samples of our past work below. If you would like further clarification on a project or to speak with one of our clients, please contact us - we'd be happy to help. 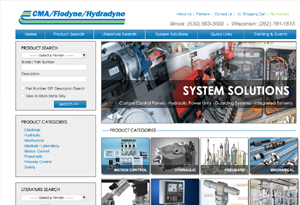 CMA/Flodyne/Hydrane(Chicago, IL) - CMA/Flodyne/Hydradyne, Inc. is a full service distribution organization offering complete machine automation and control solutions for hydraulic, pneumatic, and electro-mechanical applications. CMAFH needed to update their look and add an eCommerce solution that seamlessly integrated with their backend system. Effective Designs is currently developing a new site written in .NET using webservices to communicate with CMAFH's backend management system to process orders. 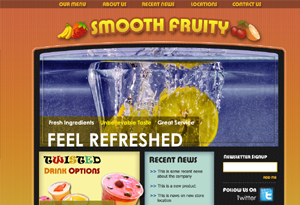 Currently working on designs for a Sports Agency(NJ) and a Juice Bar/Restaurant(NY). More information to follow. Towne Pharmacy(Dunnellen, NJ) is a local pharmacy located in Dunellen, NJ and has been in business for over 50 years. It has all the goods and services of the large chain drugstores but adds a personal touch. When Towne Pharmacy wanted to make the leap into doing business online, they chose Effective Designs to get them there. Using a customized installation of Ablecommerce at its base, TowneDrugs.com provides online shopping for gifts, vitamins, home healthcare goods, sundry items and more. Preferred Business Systems(Whippany, NJ) is a Northern New Jersey based supplier of office automation equipment from Savin, Canon and FrancoTyp-Postalia. Whether your company needs copiers, printers, digital duplicators, scanners or mail machines - they have it. PBS had an existing site that was dated and lacked personality. They asked us to come in and bring it new life. One of PBS's big selling points is their extraordinary customer service. They go above and beyond the call of duty when working with their clients. They wanted to show this on their site because it's who they are. The redesign of PBSCompany.com focused on highlighting their commitment to service and adding personal touches such as integrating pictures of employees into the theme. Underneath the hood, the category pages, search results and item detail pages were made with usability and SEO in mind. Each page has its own title and description so that they are treated as unique by search engines. Finally, the revamped administration pages in the content management system allow for quicker item creation, more flexible categorization and complete access to text on all site pages. 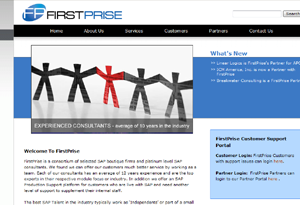 FirstPrise Services, Inc.(Paoli, PA) was formed as part of a consortium of small SAP firms.FirstPrise is an organization that pulls together the best talent in the industry to work in a non-competitive, mutually beneficial atmosphere. 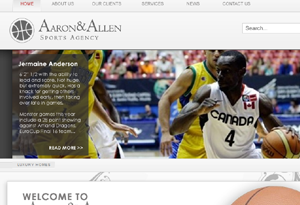 They came to Effective Designs because they wanted a site that could promote their services. As a prominent player in SAP consulting, they wanted to be taken seriously by vistors of their site. In addition to new clients, as placement experts for SAP consultants, they needed a site to direct potential hires to. With a clean, corporate look, the new layout at firstprise.com gives them the credibilty they need to attract new talent. London Fischer LLP(New York, NY) is an international leader in the concentrated disciplines of insurance and related litigation. They have practice areas that specialize in construction, real estate, marine cargo, environmental liabilities, product liability, property losses and more. When London Fischer asked us to redesign their existing site, they wanted 3 major results from the project: the ability to control the site themselves, retain their existing links, case documents and publications, and to move up in search engine results. Their previous, flash only, site was not built with SEO in mind. Each page had the same title - a huge negative when search engines index your site. It was also difficult to update. Whenever they wanted to make a change to the site's content, whether it was something minor such as adding an image or modifying some text, they had to call the company that created the site and wait a week or more for turnaround. The site was not built with growth in mind. Pages were static and the layout was not ideal for the volume of content they wanted to offer. Information was unorganized and inconsistent. We worked closely with London Fischer representatives to come up with a design based on their input. To keep the site manageable we created a custom content management system that gives them the ability to update the site in minutes without the help of a 3rd party. The CMS has WYSIWYG capabilities that allow the site administrator to add attorny profiles, images, practice areas, office information, company events and control content on every page of the site. This is all possible without any knowledge of HTML as it is all done using a wordprocessor like interface similar to MS Word. There is no need to worry about breaking your site with your changes. The content is separated from the layout so they can make updates with confidence. Now each page on LondonFischer.com has a unique title, information is organized into logical sections and navigation is intuitive. One of our main goals with every redesign is to make the trasition as easy as possible for our clients. For London fischer we tranferred all their existing data(text, images and documents) as well as completed initial data entry for new feature such as associate profiles. Finally, we trained their internal IT resource on how to manage content going forward. The site was created as a resource for information on Carl Riccio, his recovery, progress, setbacks and life experiences. It also provides a place for fundraising efforts, donations, and activism for spinal cord injury research. On February 22, 2003, sports related injury rendered Carl a quadriplegic. He didn't let that stop him though. Carl's personality and strong character have made him an inspiration to all that come in contact with him and he has become one of the most vocal activists for spinal chord injury(SCI) research. We strongly believe in Carl's cause and lend our support by hosting and managing the site free of charge. CarlRiccioTrust.com began as a simple message board for visitors to post their messages to Carl. Soon, taking direction from Carl and his efforts to turn his negative into a positive for others in similar situations, the site evolved into a place to promote research and raise political awareness. Carl and his parents continue to update his blog with details on his life and how far he has come since his injury. The messageboard remains a place for visitors to voice their gratitude and well wishes. The media section contains numerous web and print articles on Carl, as well as video clips from news broadcasts and Carl's appearances. The late Christopher Reeve had even taped a video message to Carl and attendees of one of the trust's fundraising events which can be seen on the site. Donations can be made via Paypal and sent to Carl's trust or to sponsor a documentary being made on Carl. We're always looking for new clients. If you, or someone you know, is in need of our services, we'd love to hear from you. If you're interested in starting an affiliate relationship with us where you can make a commission on successful referrals - contact us and we'll fill you in on the details. Our business relies on satisfied customers, that's why we make a point of delivering results ontime and above expectations. We'll bring that same dedication to your project.